Tubbs Footwear Flex VRT XL Shoes - Men's 28 X180101901280. Once tension is distributed evenly around your foot and our FLEX Tail design kicks in to ease stress on your joints youll climb on carefree with the Tubbs FLEX VRT. 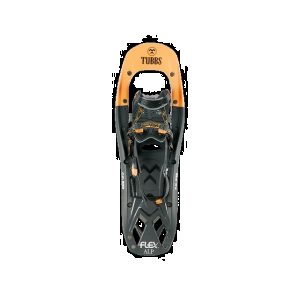 The Tubbs VRT (vertical) snowshoes are designed to deliver premium performance for backcountry exploration. . 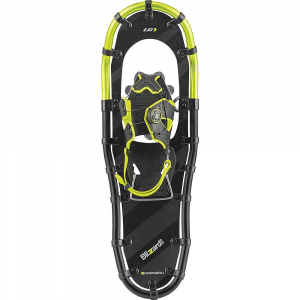 Rotating Toe Cord binding design enables the tail of the snowshoe to drop and shed snow for easier walking. Rotation limiter prevents over rotation. Viper 2.0 carbon steel toe crampons jagged tooth construction for traction on ice or packed snow. Active Lift 19deg heel lift reduces calf fatigue and Achilles tendon strain over steep terrain. 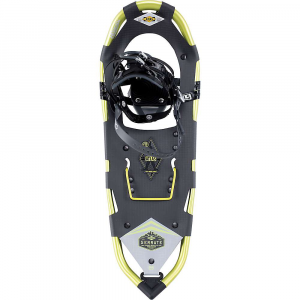 Flex Tail technology allows the snowshoe to roll more naturally from heel to toe. Flex Tail absorbs shock from the heel strike, reducing the amount of stress on joints. Torsion Deck enhances comfort and traction over uneven terrain. Dynamic Fit binding creates even pressure distribution around your boot for a precise fit. 3D-Curved Traction Rails ensure superior side-hill grip in hard-packed and icy conditions. 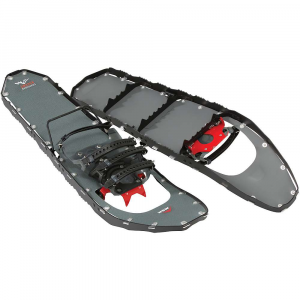 Technical snowshoes designed for backcountry adventures on rolling to mountainous terrain. Polypropylene Torsion Deck design adapts to changing snow conditions underfoot. Rotating toe cord lets the snowshoes shed snow off the tails for lower weight. DynamicFit binding with Boa Closure System evenly distributes tension around your boot. Viper 2.0 carbon-steel toe crampon with jagged tooth construction provides excellent traction. Traction rails add even more grip on ice and packed snow. Designed to deliver premium performance on backcountry expeditions. Flex Technology eases stress on your joints, allowing you to complete the steepest climbs. Imported. 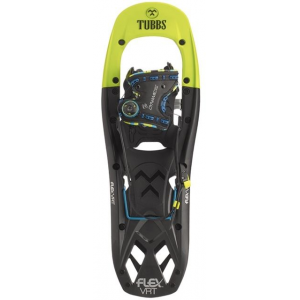 Delivering premium performance for alpine ascents, the Tubbs Men's Flex VRT Snowshoe is built for getting out there onto steep and variable terrain; the VRT in the name does stand for vertical, after all. The Flex VRT features Tubbs' revolutionary Dynamic Fit binding, which integrates full-foot wrapping EVA foam with a Boa, click-of-the-dial closure system. The result is a precise fit with even pressure distribution and optimized control. 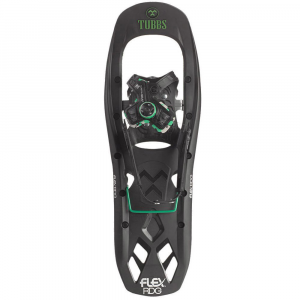 Tubbs also gave this thing its Torsion Deck design, which allows for torsional articulation throughout, enhancing traction and adapting to the terrain underfoot. This combines with a Flex Tail, which is ergonomically and biomechanically designed to absorb heel strike shock and to allow for a natural, stress-free step. Rotating Toe Cord design allows the tail of the shoe to drop after each step without over-rotating, allowing for efficient strides and reduced cardio strain. Carbon steel Traction Rails and Viper 2. 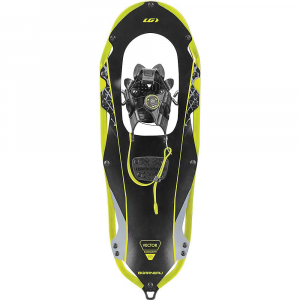 0 crampons offer maximized traction for steep and icy slopes. The Tubbs Men's Flex VRT is not available from the stores we monitor. It was last seen March 6, 2019	at CampSaver.com.